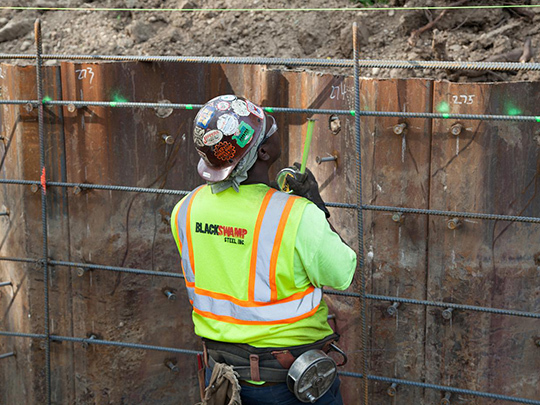 With over 21 years of experience in the Private and Public sectors, Black Swamp Steel, Inc. is one of the largest reinforcing steel contractors in Northwest Ohio and Southeastern Michigan. 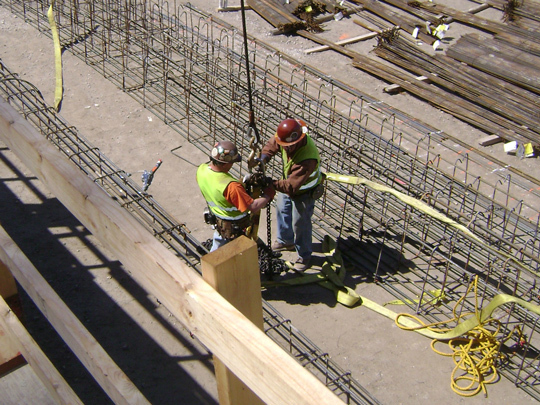 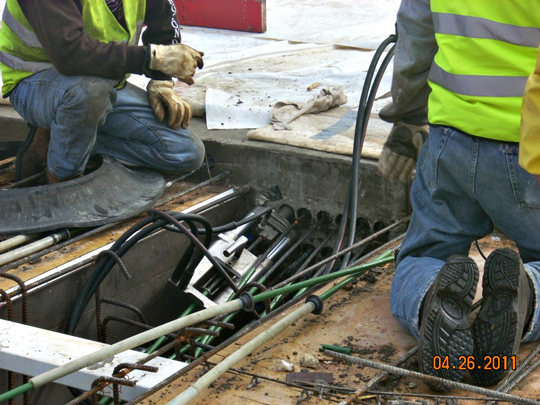 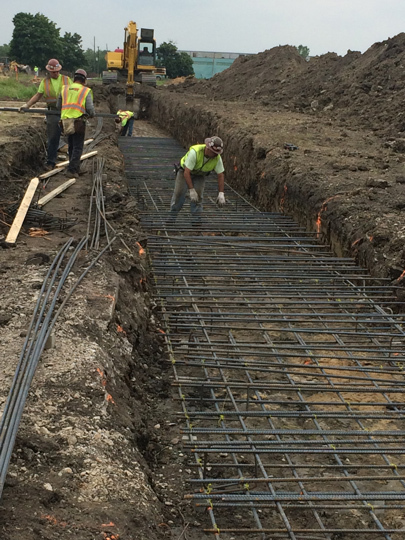 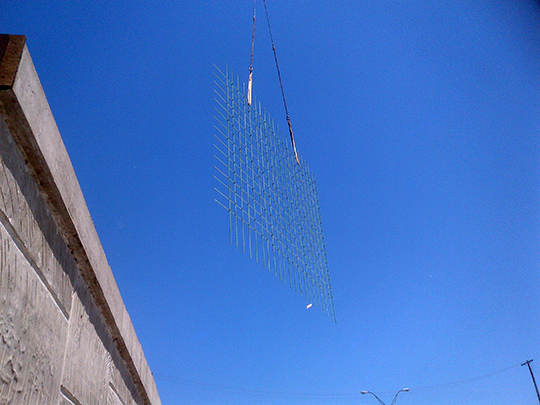 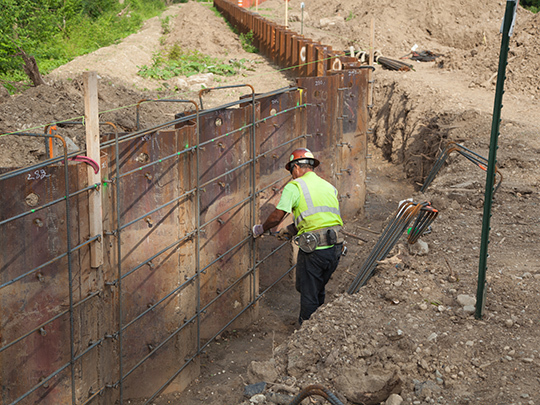 In addition to tying rebar, we provide labor for post tensioning, mechanical splices, wire mesh installation and stud welding. 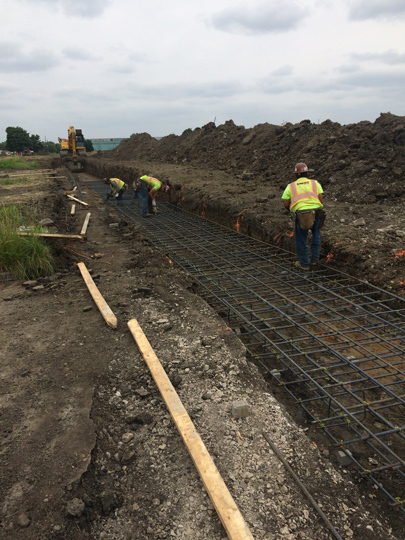 Our success is based upon adhering to a strict schedule, accurate cost control, and a first rate labor force and state of the art equipment. 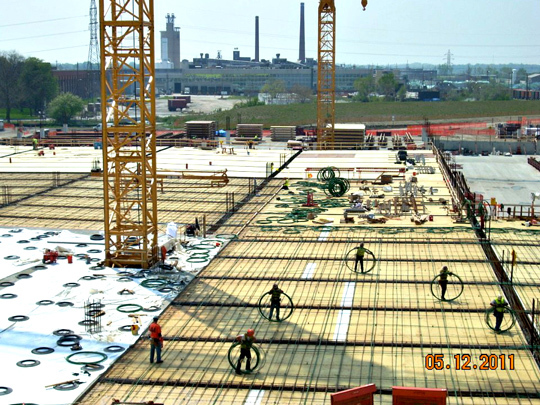 The I-94 Warehouse and Dock project is located in Detroit, Michigan. 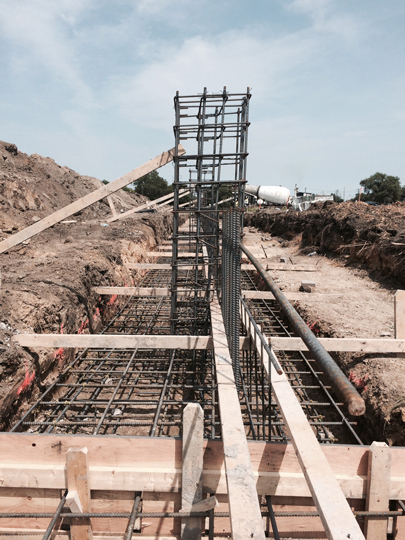 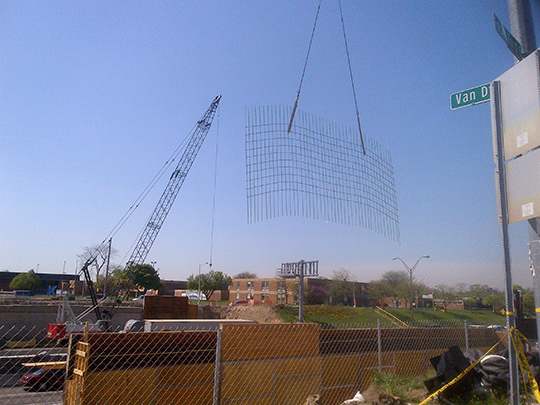 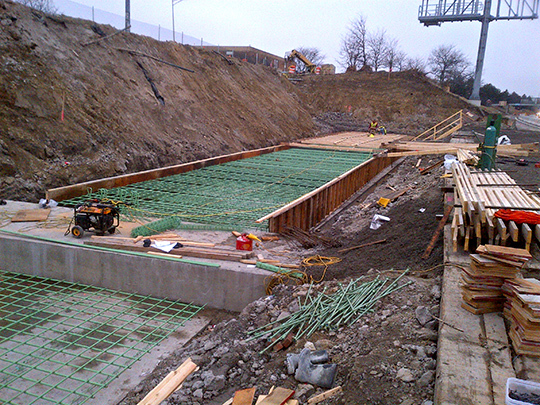 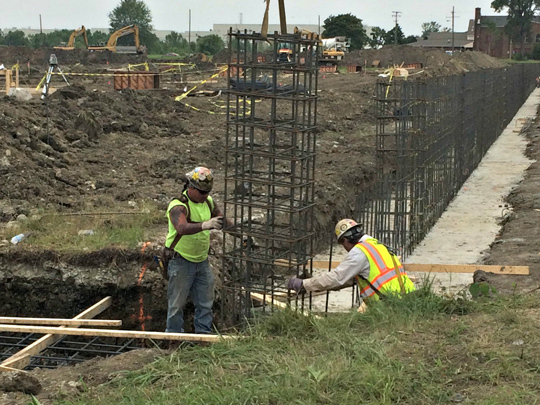 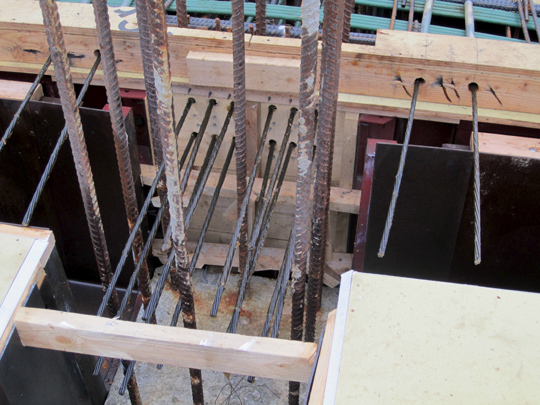 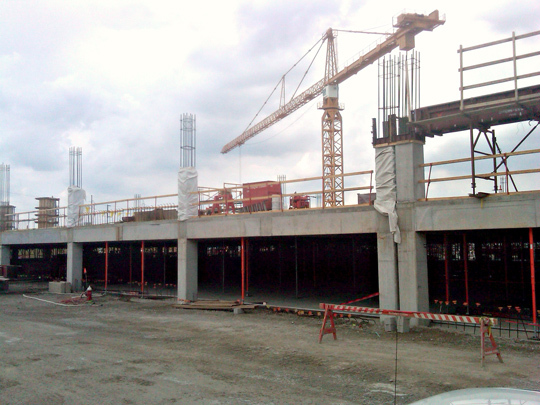 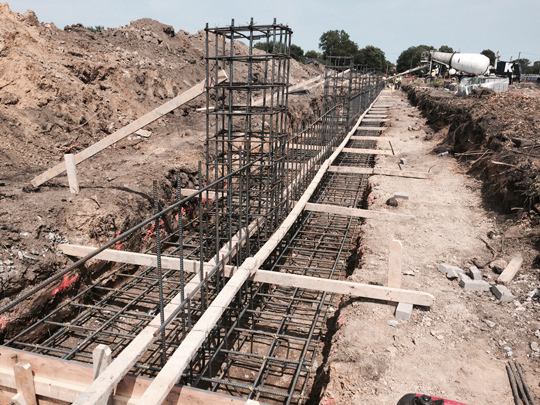 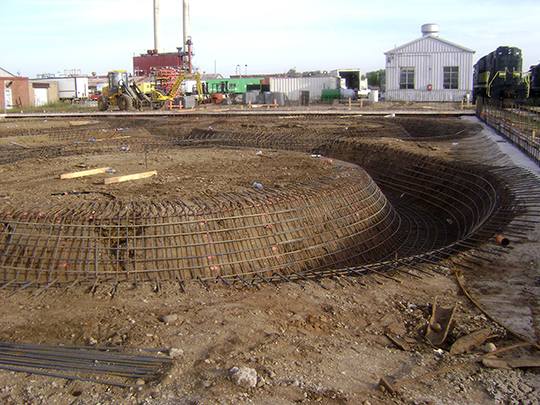 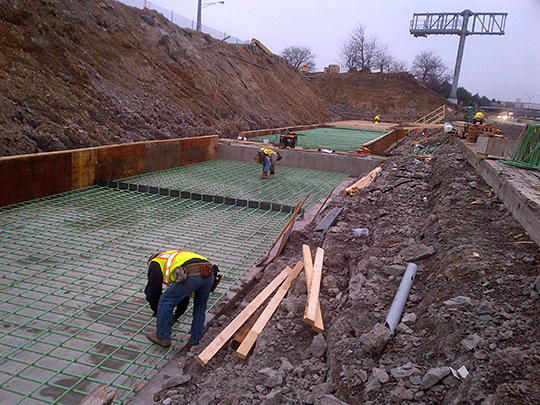 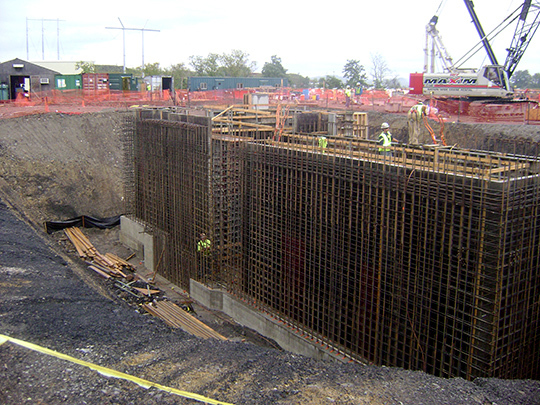 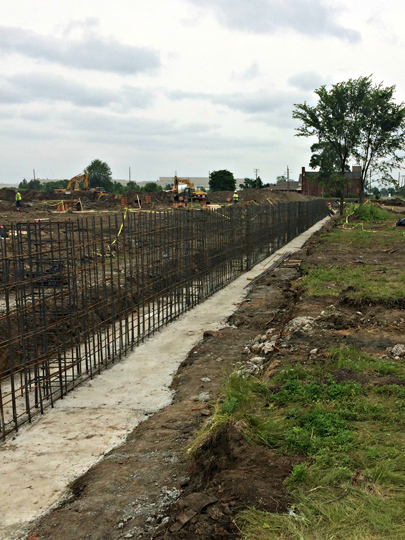 This project is a 500,000 SF building that has over 250 Tons of Reinforcing in the Footings and Walls. 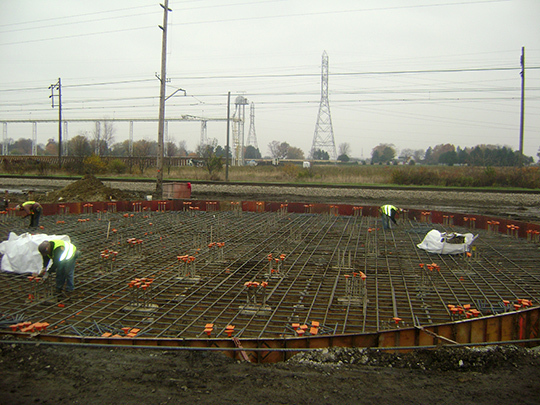 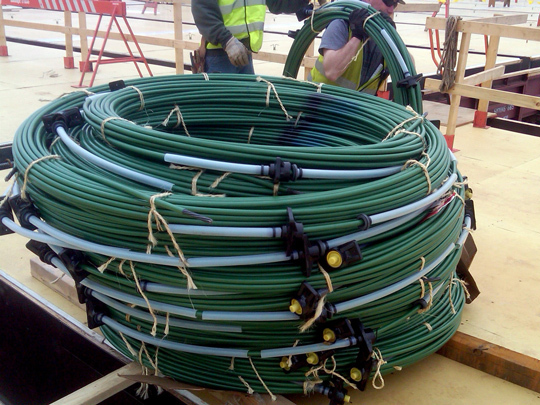 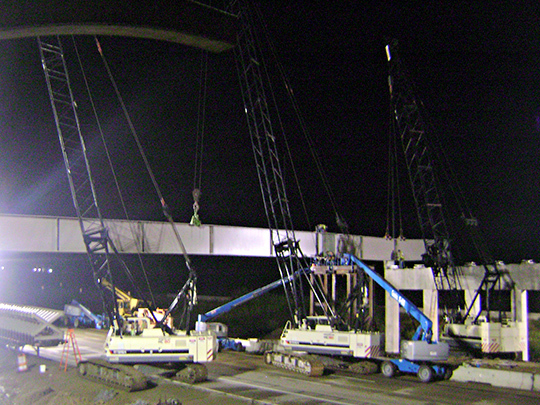 This project was on an expedited schedule and required us to prepare over 250’ pours per day. 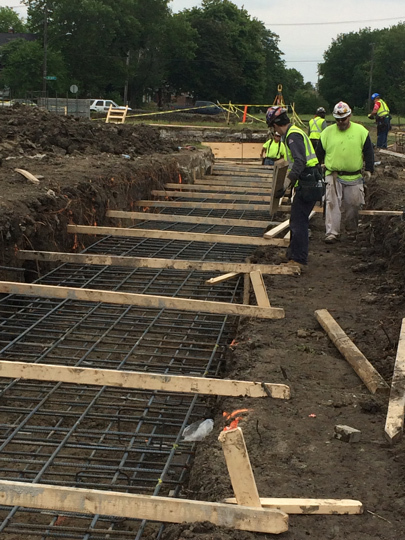 Our staff excelled at keeping pace and never missed a pour, while maintaining quality and safety. 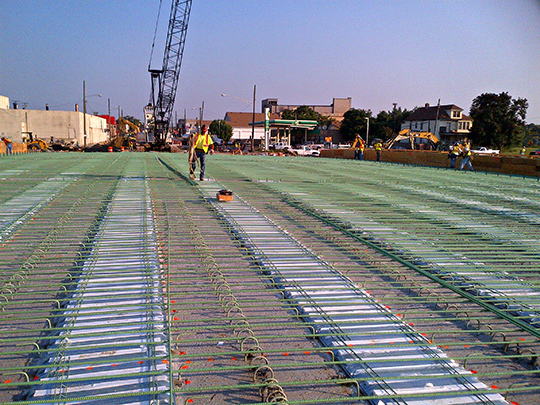 Structure Replacement, approach reconstruction, permanent signing, pavement markings, traffic signals, storm sewer, lighting, and ITS infrastructure on M-53 (Van Dyke Avenue) over I-94 in the city of Detroit, Michigan; Wayne County. 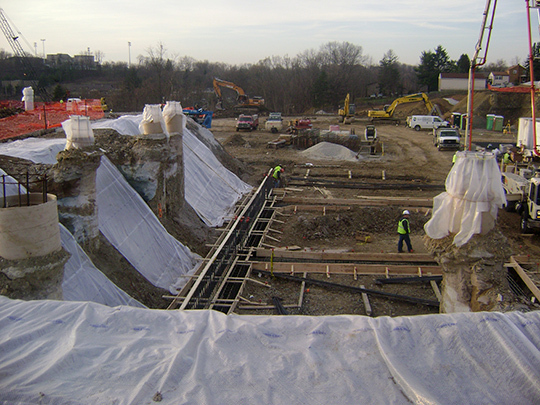 The Holes Creek restoration is a unique environmental flood mitigation project, commissioned by the United State Army Corps of Engineers (USACE). 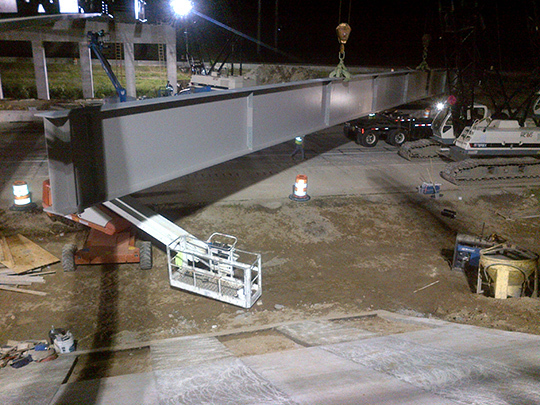 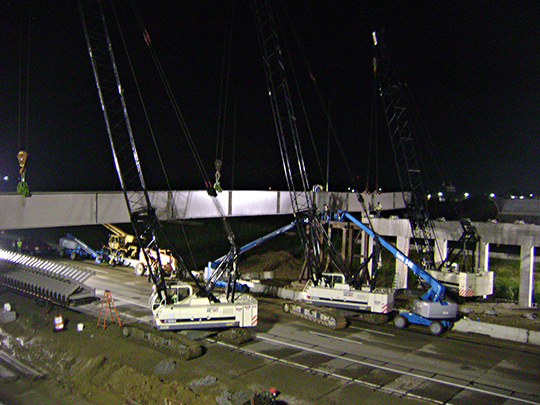 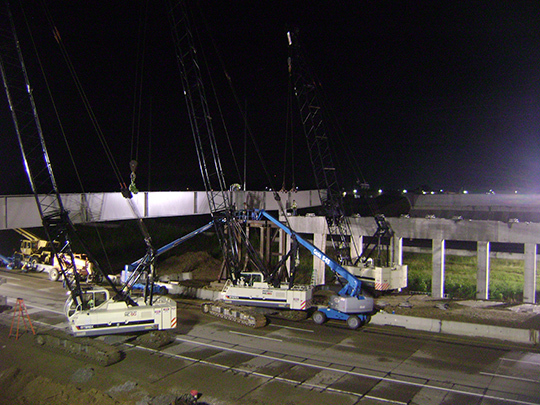 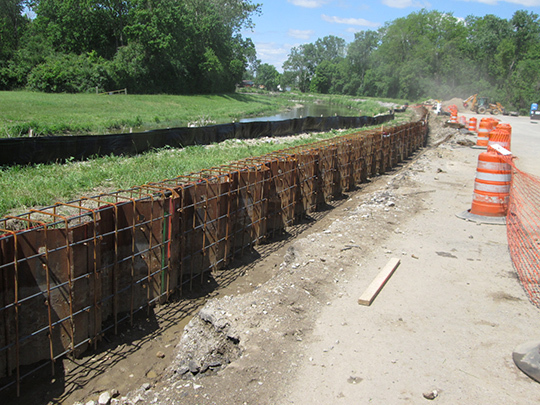 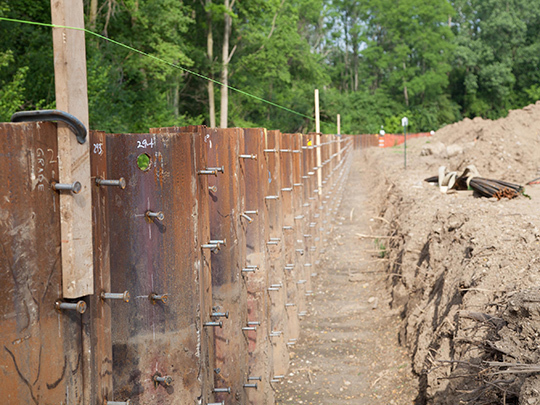 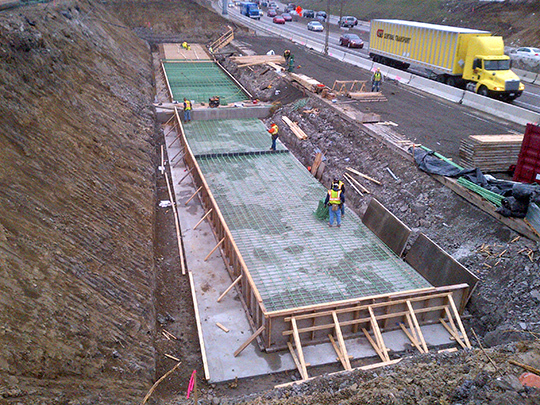 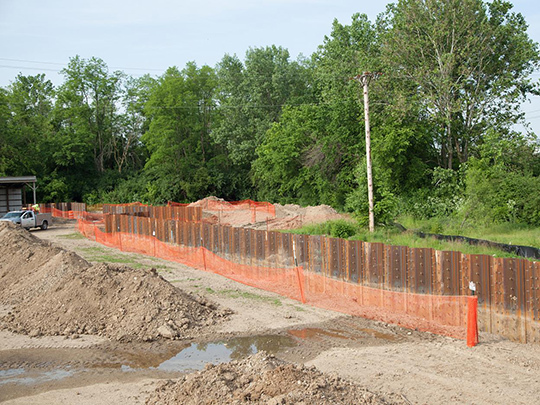 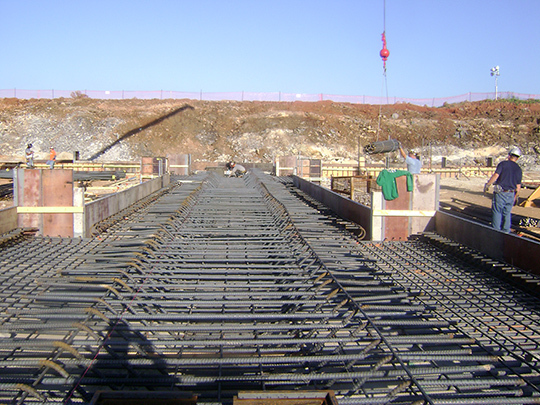 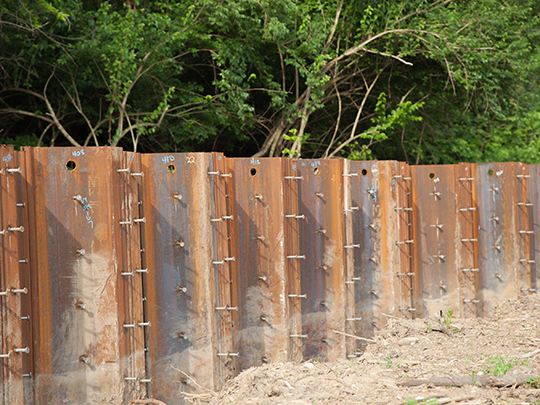 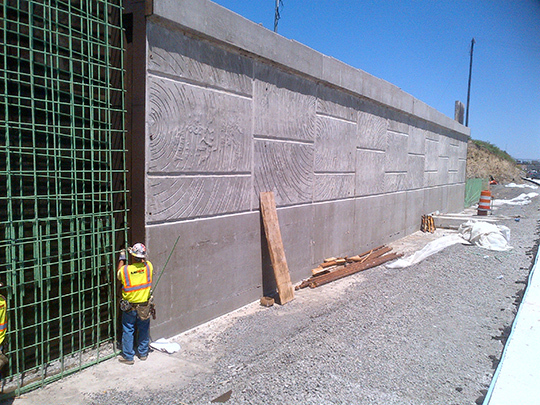 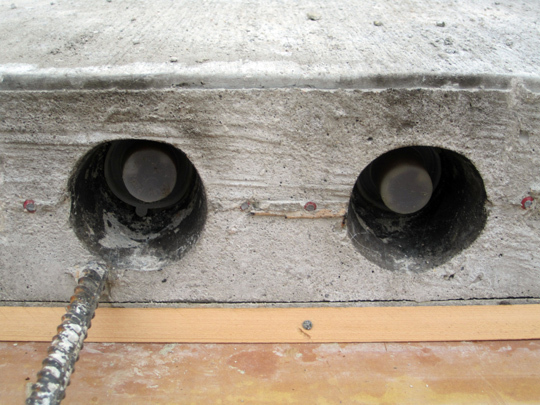 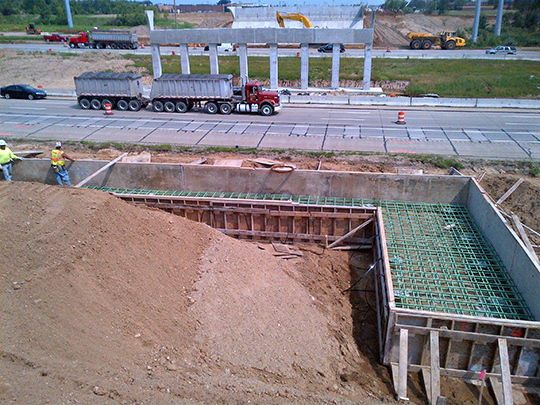 The Flood Barrier consists of 2,600 traversing feet of reinforced concrete faced sheet pile. 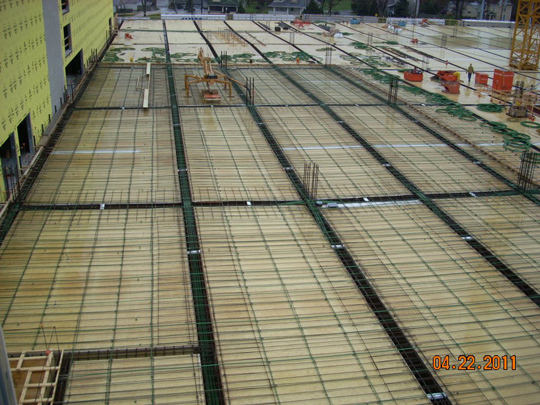 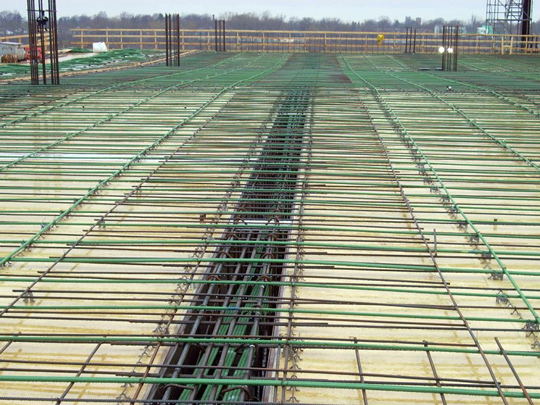 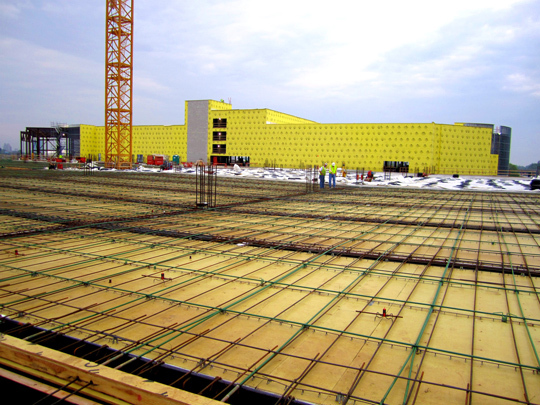 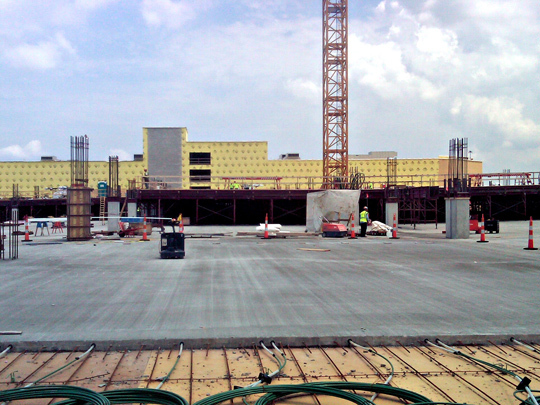 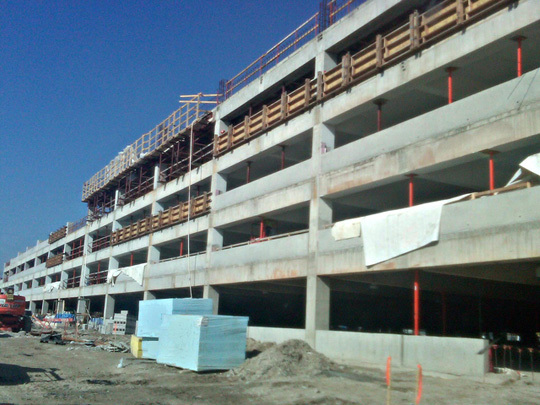 The Hollywood Casino Parking Garage is a 6 level structure, built with over 1,100 tons of Rebar and 600,000 lbs of Post Tensioning, and has the capacity to hold 4,000 cars. 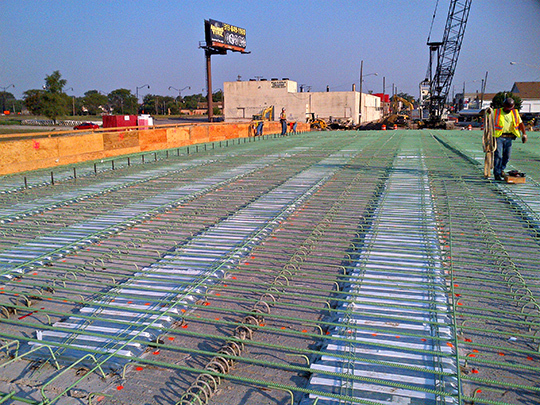 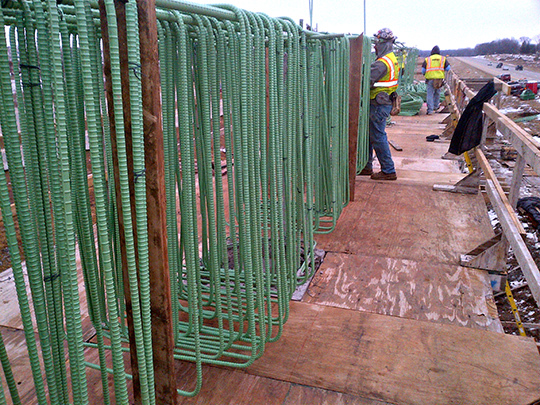 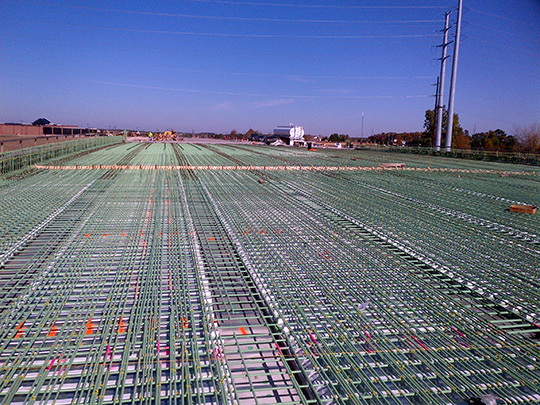 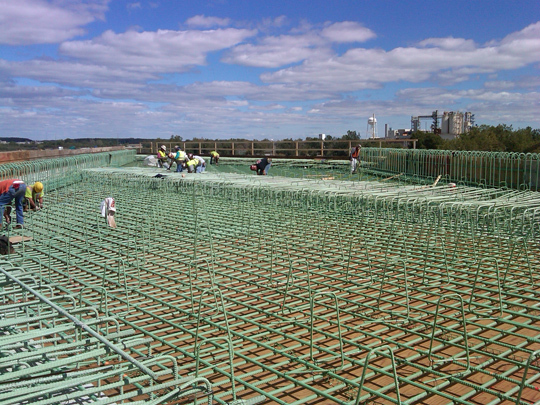 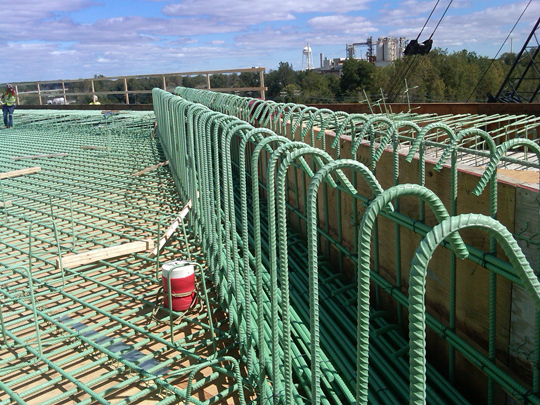 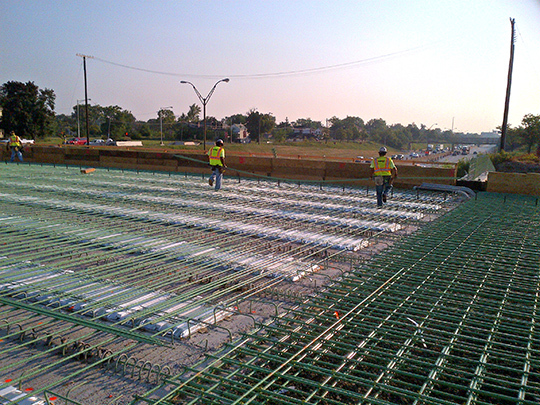 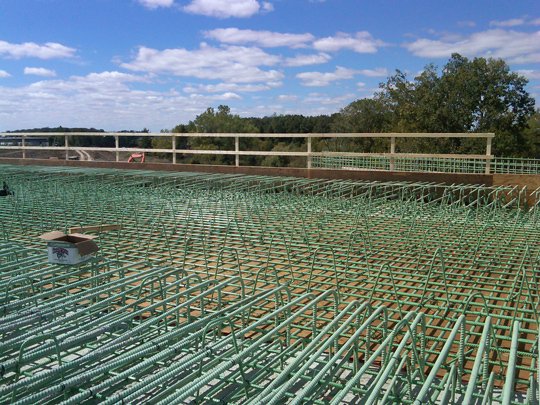 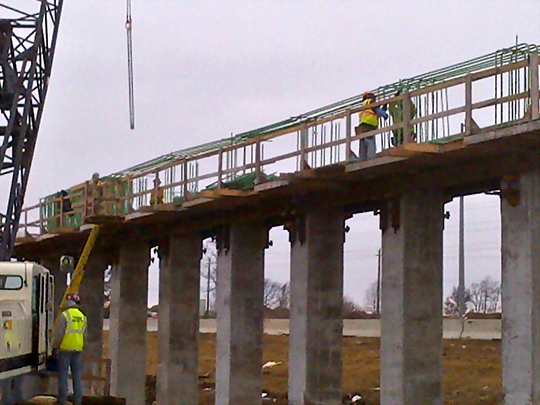 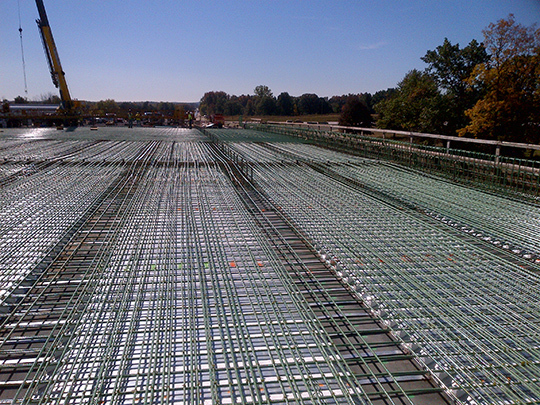 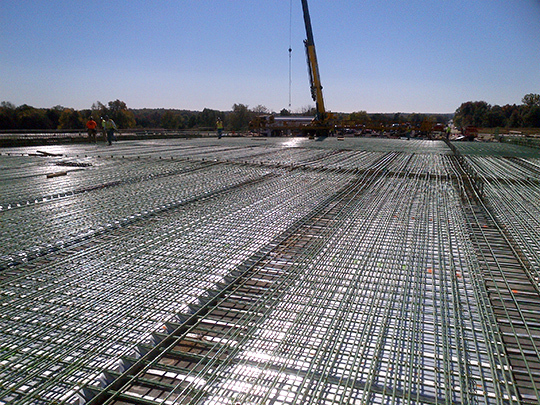 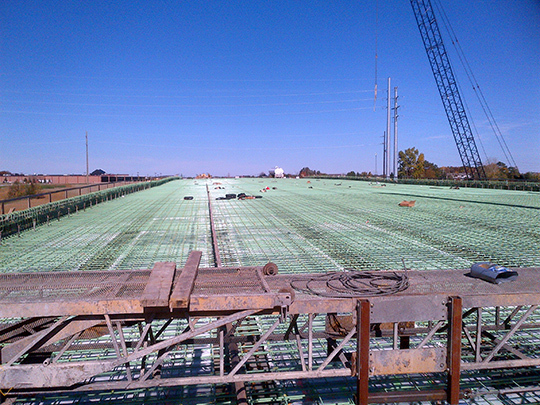 The new Route 24 project has over 1,400 tons of Epoxy Coated Rebar in it, and will take over 4 years to complete.